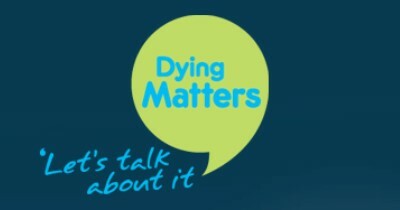 This week (8th to 14th May 2017) marks Awareness Week hosted by Dying Matters and the organisation’s coalition members (see http://www.dyingmatters.org/AwarenessWeek) Coinciding with this, the International Care Ethics Observatory, the Ethics in Care Theme and the Long-term conditions Cluster in the School of Health Sciences at the University of Surrey, have organised a panel event on the theme of: Should Assisted Dying be Legalised: The Ethical Arguments’. We have five eminent panel members who will present their perspective on the theme: Chris Gastmans, Professor of Medical Ethics, Leuven: Sarah Wolfensohn, Professor of Animal Welfare; Visiting Professors, Robert Jago (healthcare law) and Christopher Herbert (Christian Ethics); and Dr Craig Gannon, Medical Director, Princess Alice Hospice. The event will be chaired by Ann Gallagher, Professor of Ethics and Care and will take place on Monday 8th May from 4 to 6pm in Room 1, Level 3, Duke of Kent Building, University of Surrey. The event is timely in coinciding with dying Awareness week. The focus this year is on asking ‘What Can You Do? This aims to get people more active in planning for dying and death and helping support those who may need it in times of grief and bereavement’ (http://www.dyingmatters.org/AwarenessWeek ). There are additional reasons which make this topic timely and important. A recent Editorial in the January 2017 issue of the journal Nursing Ethics discussed legal changes regarding assisted dying around the world and argued that there has been too little discussion, particularly amongst nurses (‘the sounds of silence’). In Belgium, the Netherlands and Luxemburg, euthanasia has now been legalised. In the United States, assisted suicide is legal in six states. In Canada, medical assistance in dying (MAID) became legal in 2016 and in Switzerland, assisted dying has been legalised. Many of you will now be familiar with the idea of ‘death tourism’ whereby people, including from the UK, go to Dignitas in Switzerland to avail of assisted suicide. Attempts to legalise assisted dying in the UK, Germany and New Zealand have continued in recent years and it is important to debate and be familiar with the ethical arguments for and against. The introduction to the Quality of Death index opens with the statement ‘Everyone hopes for a good death, or rather, ‘a good life to the very end’. It is now well recognised that demographic changes and changes in patterns of illness and disease, present new challenges. There is so much more that can be done in terms of care and treatment and these options raise ethical questions, for example, ‘just because we can, should we?’ It is important to remember that the UK is ranked 1st out of 80 countries in the Quality of Death Index highlighting progress made with palliative and end of life care. Nevertheless, there is always more we can do to reduce the taboo of death and dying and to promote conversations that enable people to consider their own preferences at the end of life. Advance care planning is, for example, a positive initiative that provides opportunities to have these conversations and to honour wishes regarding dying and death. When a person has independently and willingly used lethal means to directly cause their own death, but had needed explicit help from a third party in order to do so. Assisted dying allows the terminally ill person to have a choice over the manner and timing of their imminent death. Assisted suicide enables someone who is not dying to choose death over life. Explanations of assisted dying are compared with related activities such as euthanasia and suicide in the course of the panel discussions. We are pleased to create opportunities for debate on the theme of assisted dying this week but, more importantly, we aim to stimulate a wider discussion about good end of life care. In the School of Health Sciences, we are committed to professional education and research directed towards helping people to live as well as possible until they die. We aim to support and develop sustainable and ethical end of life care and to highlight examples of good practice at every opportunity. We hope you will join us on this important endeavour.